His Highness Sheikh Mohammed bin Rashid Al Maktoum, Vice President and Prime Minister of UAE and Ruler of Dubai, has launched the ‘Dubai 3D Printing Strategy’, a unique global initiative that aims to exploit technology for the service of humanity and promote the status of the UAE and Dubai as a leading hub of 3D printing technology by the year 2030. His Highness was accompanied by Sheikh Hamdan bin Mohammed bin Rashid Al Maktoum, Crown Prince of Dubai and Chairman of Dubai Executive Council, and Sheikh Maktoum bin Mohammed bin Rashid Al Maktoum, Deputy Ruler of Dubai. His Highness Sheikh Mohammed said that the UAE will continue its quest to achieve global leadership in the adoption of future innovations to launch initiatives that benefit the entire human community. "Our vision for development is driven by a deep understanding of the future needs, and built on proactive ideas because we want to be in first place globally. Our methodology for development is based on the launch of initiatives that can be applied anywhere in the world and creating a global model for not only our economy but also for the global economy," His Highness said, before continuing, "The future does not wait for those who hesitate and slow down. The next stage requires us to act fast and utilise the opportunities. A few days ago, we launched the Dubai Future Agenda and we have started to implement it through a number of initiatives and strategies which add value to humanity and our national economy." The launch of the strategy was attended by Mohammad bin Abdullah Al Gergawi, Minister of Cabinet Affairs and The Future, Hamid Mohamed Al Qatami, Chairman and Director-General of the Dubai Health Authority, DHA, Hussein Nasser Lootah, Director-General of Dubai Municipality, and Ahmad bin Byat, Vice Chairman and Managing Director, Dubai Holding. His Highness Sheikh Mohammed went on to say, "The UAE is presenting to the world today the first integrated and comprehensive strategy to exploit 3D technology to serve humanity. We have also framed practical plans and precise goals to turn the strategy into reality, the reality that will contribute to the progress and prosperity of the world and help preserve our human heritage." "The future will depend on 3D printing technologies in all aspects of our life, starting from houses we live in, the streets we use, the cars we drive, the clothes we wear and the food we eat," His Highness said, adding, "This technology will create added economic value and benefits worth billions of dollars during the coming period. We should have a share in this growing global market. This technology will restructure economies and labour markets as the use of unskilled labour will come down compared to the current situation, especially in the construction sector. It will also redefine productivity because the time needed for 3D printing of buildings and products will be 10% of the time taken in traditional techniques." His Highness explained, "Our key goal is to ensure that 25 per cent of buildings in Dubai are based on 3D printing technology by 2030, and we will raise this percentage with the development of global technology as well as growth of market demand. We believe that this technology is capable of transforming the construction sector by lowering costs and reducing the time it takes to implement projects. “It will also help reduce manpower requirements as well as waste generated from construction which can be harmful to the environment. We will also focus on utilizing this technology in other vital sectors such as medicine and consumer products to offer goods and services at competitive prices." His Highness Sheikh Mohammed said, "Through the 3D Printing Strategy, we aim to make Dubai a global hub for the development of this technology and a base for research and development in this area. We aim to provide the best opportunities for innovation and optimal application of this technology worldwide. Our goal is raise the level of services provided to the people and harness 3D printing for the benefit of the entire community." His Highness called on all government agencies, private sector companies, universities and research centres to work as a team to establish a universal model in the UAE that will serve as a platform for innovators in this futuristic technology from all over the world. There are three key sectors and five pillars of the strategy. The three major sectors are Construction, Medical Products, and Consumer Products. The construction and building sector will focus on lighting products, bases and foundations, construction joints, facilities and parks, buildings for humanitarian causes and mobile homes, in addition to galleries, stores and residential villas. 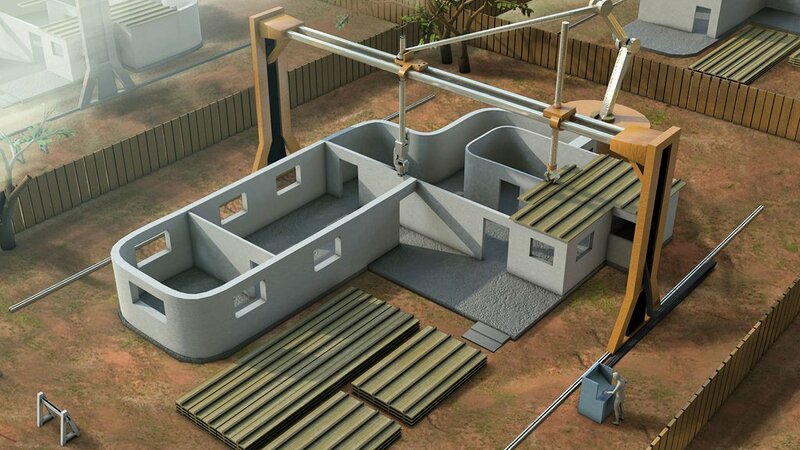 The value of the 3D printing technology based construction sector in Dubai is expected to be about Dh3 billion by 2025. 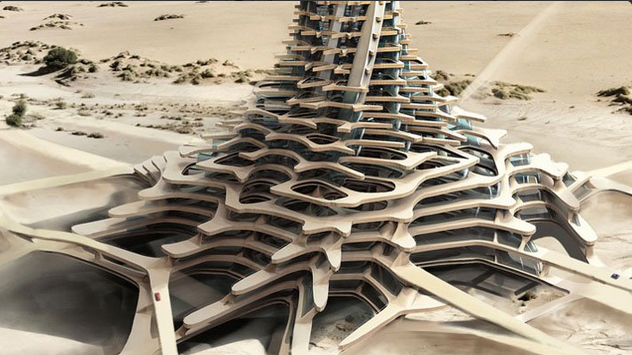 The use of 3D printing in Dubai’s construction sector will increase by 2% starting 2019 and more in the coming years, depending on the development of the technology and its future reliability. In the medical products sector, the focus will be on developing 3D printed teeth, bones, artificial organs and medical and surgical devices and hearing aids. The value of 3D printed medical products in Dubai is expected to be reach Dh1.7 billion by 2025. The consumer products sector will focus on household items, optics, fashion jewellery, children's games and fast food. The volume of consumer products printed by 3D technology in Dubai is expected to be about Dh2.8 billion by 2025. The strategy has five main pillars: Infrastructure, Legislative Structure, Funding, Talent and Market Demand. The Legislative Structure pillar will focus on the development of regulatory frameworks for the use of 3D printing technology within various sectors and the specifications of materials that will be allowed to be used in the printing process. The Infrastructure pillar will aim to provide the right infrastructure and the support of research and development to attract the world's largest companies in this field. Emphasis will be placed through the Talent pillar to build the local talent capabilities of researchers, designers and innovators, and bring the best minds from around the world in the 3D printing field. The Funding pillar will provide financing alternatives as well as investment support to develop the technology and expand its scope of application. The Market Demand pillar will promote the application of this technology within various sectors, to bring prices of products to competitive levels while maintaining quality. The Dubai 3D Printing Strategy will be implemented by many partners, including Dubai Municipality, Dubai Health Authority and Dubai Holding. The strategy is aimed at integrating the efforts of government institutions and the private sector to enhance Dubai’s development by employing innovative local and global expertise in 3D technology. The Dubai Future Foundation will play a major role in organising these efforts and putting them within set frameworks to achieve the strategy. Dubai Municipality will be one of the important government agencies involved in the implementation of the strategy through the use of existing technologies locally and attracting the leading global companies in the industry. It will also analyse the optimal mechanisms to successfully transform traditional construction methods to construction using 3D printing technology. Dubai Municipality will achieve the strategic targets by launching and organising a number of projects and initiatives across four main stages. The Establishment Phase includes preparation of a comprehensive study for the 3D printing sector, especially in the field of building construction. It will contribute to the organisation of the registration process and qualification and licensing, implementation and follow-up monitoring and modification and legislation, as well as coordination with the customers, government, developers, manufacturers, and information technology companies. The Qualification Phase aims to organise projects to develop codes for 3D printing materials, systems and specifications, hardware and technical standards of sustainability and project maintenance. In addition, this phase will adopt the registration and classification process and initiate measures to educate engineers and local and international companies. The phase will also see the preparation of laboratories for testing and measuring the materials. It also includes local and international accreditation and processing and preparation of cadres and electronic systems for operations and inspection. The third stage is the Implementation Phase, which will begin with the launch of the first pilot project with Dubai Holding. During this phase, developers will be inspired to work on other prototype projects while the private sector and consultants will be encouraged to adopt the processes of transformation towards printing buildings through a combination of direct impact incentives. The Development Phase includes assessment through several measures and performance indicators covering all the previous stages, and further developing them, drafting work agreements with key developers to facilitate the 3D printing technology sector. The Dubai Health Authority will help in achieving the goals of the strategy within the medical products sector by creating an appropriate environment and setting the standards to apply to this technology in the medical sector, as well as to promote Dubai’s position as a global centre for 3D printed medical products, building international partnerships with key players around the world. Dubai Holding will also play a key role in implementing Dubai's strategic 3D printing through the launch of an innovative laboratory to embrace innovation, innovators and designers. It will establish a special centre for 3D printing and organise workshops and training courses. This is in addition to the establishment of a special fund to support pilot projects in a wide range of sectors, including 3D printing. A global forum for 3D printing technologies will be held as an international platform to highlight the latest technologies in this sector and it will focus on attracting the biggest players in this emerging sector, including designers, manufacturers and developers, to discuss the latest innovations, the advanced materials used in 3D printing, practical and futuristic designs, legal aspects and explore promising markets and sectors. The 3D printing strategy comes as a part of the Future Cities Programme which aims to launch strategies and projects to promote the leading position of the UAE and add social and economic value. The Future Cities Programme is one of the programmes of the Dubai Future Agenda launched recently by His Highness Sheikh Mohammed bin Rashid Al Maktoum. The global market for 3D printing is expected to reach US$120 billion by 2020 and about US$300 billion by 2025, driven by research and product development activities and the increasing need for more creativity in the design process. 3D printing technology will ease the production process in various sectors, offering the prospects for major leaps in the world of industry. Reports indicate that 3D printing technology will cut construction costs by between 50% and 70%, and cut labour costs by 50% to 80%. In addition, the technology will help reduce waste produced in construction operations by up to 60%, which will reflect positively on the economic returns of the sector and contribute to sustainable development. North America, Japan, Germany, the United Kingdom and other developed countries have allocated huge budgets in the development of 3D printing techniques in various fields such as medicine, industry, automotive and aviation.